Junk food advertising is set to be banned on London’s public transportation network from February. London Mayor Sadiq Khan said Friday that junk food advertising will be banned on the city’s entire public transportation network from February, as part of a plan to tackle childhood obesity. Restrictions will come into force February 25 and will cover all advertising for foods and non-alcoholic drinks high in fat, salt and sugar. This will include products such as chocolate bars, sugary drinks and burgers. 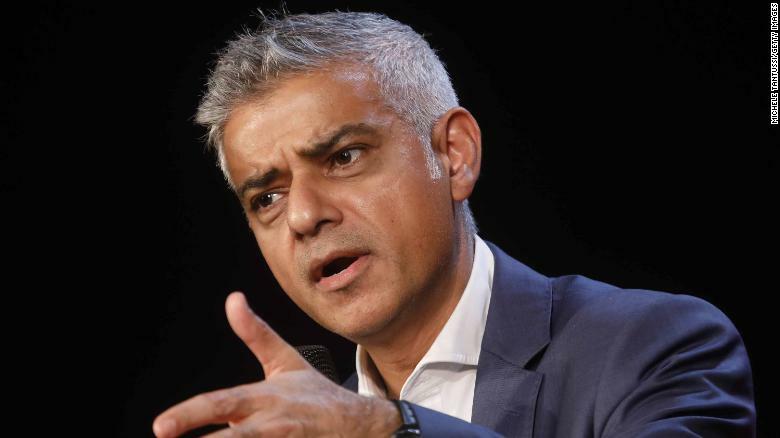 Khan proposed the ban in May and the mayor’s online discussion platform, Talk London, received 1,500 responses to the consultation, with an 82% approval rating for the proposal. Sadiq Khan described the crisis of childhood obesity in London as a ‘ticking timebomb’ and said he had seen ‘overwhelming support’ for the ban. “It’s clear that advertising plays a huge part in the choices we make, whether we realize it or not, and Londoners have shown overwhelming support for a ban on adverts for junk food and drink on our transport network,” he said in a statement. “It’s completely unacceptable that in a city as prosperous as London, where you live and the amount you earn can have a massive impact on whether you have access to healthy, nutritious food. I’m determined to change this,” he added. Khan also noted that obesity is putting the lives of young Londoners at risk and placing “huge pressure on our already strained health service.” Research by City Hall revealed that London has some of the highest child overweight and obesity rates in Europe, with close to 40% of children aged 10 and 11 overweight or obese. Children in London’s poorest areas were also found to be disproportionately affected, with young people in Barking and Dagenham almost twice as likely to be overweight as children from the more prosperous borough of Richmond. Lilli Matson, director of transport strategy at TfL, noted that advertising on London’s transport network reaches a diverse audience of all ages, and consequently plays a crucial role in the health of Londoners. The announcement comes a day after figures were released showing a sharp rise in the number of children and young people across Britain being diagnosed with Type 2 diabetes. Nearly 7,000 young Britons now suffer from the disease, which is directly linked to obesity.